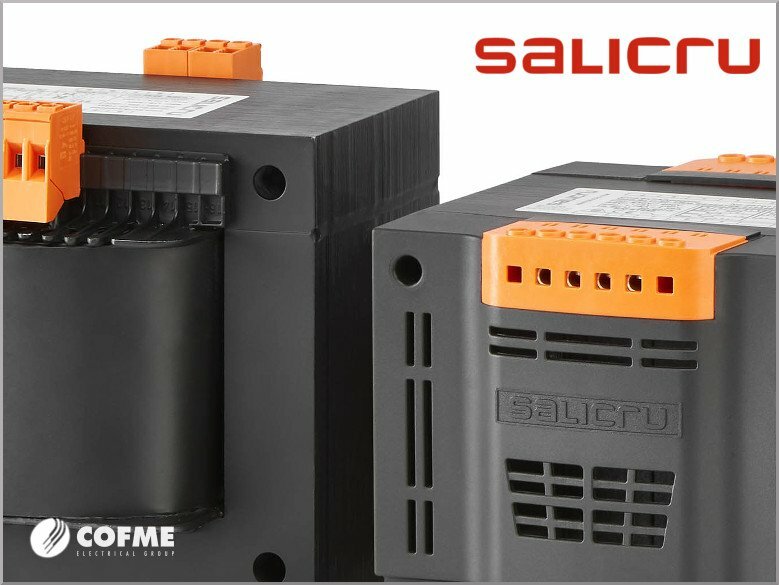 SALICRU launches to the market the innovative series of transformers IT M, for the range 25VA – 2000VA and applications of industrial, tertiary or domestic environment. The quality of the SALICRU IT M series is guaranteed by the strictest technical criteria and manufacturing test systems which follow the most modern technologies. Furthermore, SALICRU has been manufacturing low-voltage transformers for more than 50 years. The transformers in this series offer control, command, isolation and safety functions to meet the requirements of the most varied installations and to be used in different types of industry. They also have double or triple primary voltage and double secondary voltage. This is possible by choosing between serial or parallel connection, using the included metal bridges. All this gives the IT M series great versatility. In addition to providing an adjustment to the voltage level of industrial, tertiary or domestic applications, the SALICRU IT M series transformers can provide electrical insulation to devices and safety voltage. They are ideal for the construction of electrical panels. Size, ease of fixing, and their various voltage sockets are key features for this. Additionally, the transformers supply high instantaneous power, for the correct magnetization of contactor coils, relays, or protections present in this type of application.